It is my absolute pleasure to serve this year as the Chair for ADHA’s Institute for Oral Health, the only foundation for dental hygienists by dental hygienists. Giving back to the profession through the many opportunities offered by the IOH is personally and professionally rewarding. Dental Hygienists direct support to the Foundation provides a multitude of pathways to make a difference! As we come together to support this important work, we foster partnerships with other community and corporate leaders which contributes in so many ways to advancing our profession. Through the Institute, our efforts serve to strengthen the profession of dental hygiene and increase access to quality healthcare. It is an honor to have received the 2018 Liz Chaney Liaison of the Year Award. This would not have been possible without the immense help of my colleagues, who tirelessly attended every single fundraiser and contributed to this great cause. Sometimes, it all comes down to just asking -- asking our communities to be part of the change then providing the opportunities for them to do so. This is how our biggest advocates – dental hygienists -- turned to be our most generous donors. No wonder why it is said that the Institute for Oral Health (IOH) is the only foundation for hygienists by hygienists. My journey as a Liaison is far from over, my commitment to continue raising funds for Scholarships, Research, and Community Service Grants maintains the same enthusiasm as before. I look forward to seeing once more the kindness and passion that ignites every IOH supporter! The Advisory Committee functions in consolatory capacity to the ADHA Institute for Oral Health Board of Directors of the American Dental Hygienists' Association Institute for Oral Health in the area of development and implementation of fundraising strategies. The Community Service Grant Review Committee includes four reviewers that possess an understanding and expertise in community service programming and performance measures. This Committee reviews all complete Community Service Grant proposals for the Wrigley Company Foundation Community Service Grant Program in the fall and reviews submitted proposals for the Healthy Start for Texas Teeth and Rosie Wall Community Spirit, Community Service Grant Programs in the spring. This Committee will meet twice per year (fall and spring) to make recommendations to the Board of Directors for Community Service Grant funding. The Research Grant Review Committee is comprised of four reviewers that demonstrate prior knowledge and expertise in the field of oral healthcare and dental hygiene research. This Committee must review all complete Research Grant Proposals for the Institute for Oral Health Research Grant Program and the named Dimensions of Dental Hygiene Research Grant Program. This Committee meets in the spring to make recommendations to the Board of Directors for Research Grant funding. The Scholarship Review Committee consists of three reviewers that exhibit expertise in the field of dental hygiene higher education. This Committee must review all complete scholarship applications for each of the Institute for Oral Health Scholarships. This Committee meets in the spring to make recommendations to the Board of Directors for Scholarship funding. Liaisons are volunteers, grassroots fundraisers, ADHA leaders, and change-makers. The fundraising they do on behalf of the Institute for Oral Health directly contributes to scholarships, community service grants and research grants to dental hygienists throughout the United States. Liaisons also hold a critical job as communicators—they are charged with the important duty of communicating Institute for Oral Health opportunities such as open scholarships and grants. Lastly, Liaisons are advocates for their communities. 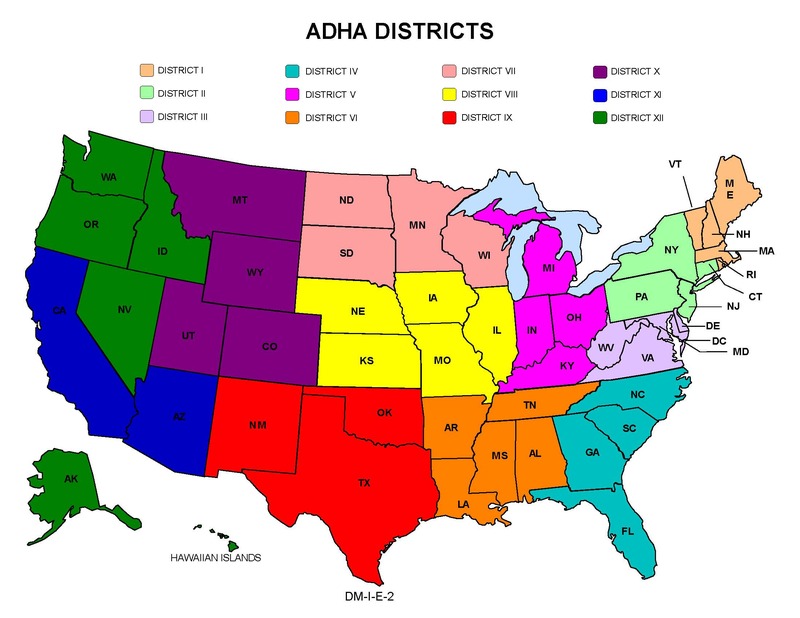 Liaisons work closely within the state and local chapters and communicate the needs of those communities to the National ADHA Institute for Oral Health offices to better serve the dental hygiene community. Interested in becoming an IOH Liaison?